Don’t try these at home, kids. Ever. I am obsessed with Pinterest. I’m being completely honest here. If it wasn’t for Pinterest, I probably wouldn’t know how to make meatless meatloaf or beef-less beef stew- as ridiculous as this sounds. I used to have a DIY Beauty Pinterest board years a go, where I’d pin all these wonderful, DIY ideas that promised to make my skin look bright, supple and even-toned.. but.. truth is a bitter pill to swallow. Exfoliating with baking soda will not leave your skin looking smooth and beautiful..
.. and as far as that Oreo cookie mascara goes… well..
Like, from the pit. Blending it (the pit, not the avo itself!!) and mixing it with your favorite creamy cleanser is supposed to create a face wash/scrub that leaves your skin feeling soft and smooth. Why not just use sandpaper on your face? In all seriousness though, chopped or blended pit is simply too harsh to be used on your face, it can create microscopic tears in the top layer of your skin- this allows bacteria to enter into deeper layers of your skin. As you use this “scrub”, your skin can also become inflamed. I’m guessing that this might work nicely as a foot scrub- if you have really rough skin- but I wouldn’t put it anywhere near my face. There’s this common misconception that when you have acne or problematic skin, you should be “rough” with it- nothing could be further from the truth. If you have problematic skin, you should stick to gentle cleansers and chemical exfoliants. 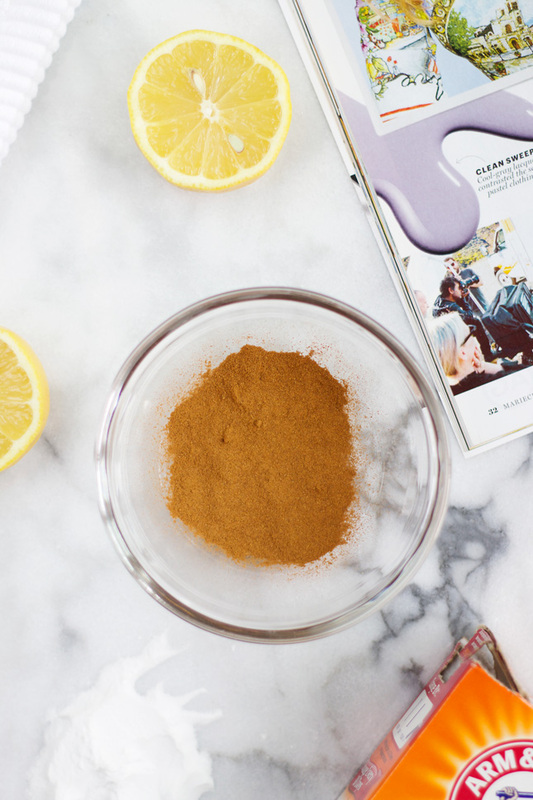 Lemon sugar scrub, lemon juice toners, lemon facial cleansers…- lemon is probably one of THE most popular ingredients when it comes to DIY beauty on Pinterest. Rubbing lemon on your face and skin was also one of the first “natural” beauty tips I received, courtesy of a tween magazine I used to read many, many years a go (yes… back in the day we used to get our beauty reviews and tips from a magazine, this was waaaay back when we had a dial-up internet connection…God I feel old). My cousin and I used to spend our summers behind my great grandma’s barn, tanning all day long. By the end of the summer our knees and elbows were brown to the point of looking, well.. dirty. That was when I remembered reading an article about brightening your skin using lemons. So I rubbed them on my knees, my elbows and unfortunately, my face. I ended up with something that my mom thought was a chemical burn on my face. Putting any kind of citrus fruit and/or juice on your skin can cause a phototoxic reaction called photodermatitis- and it’s not pretty, guys. 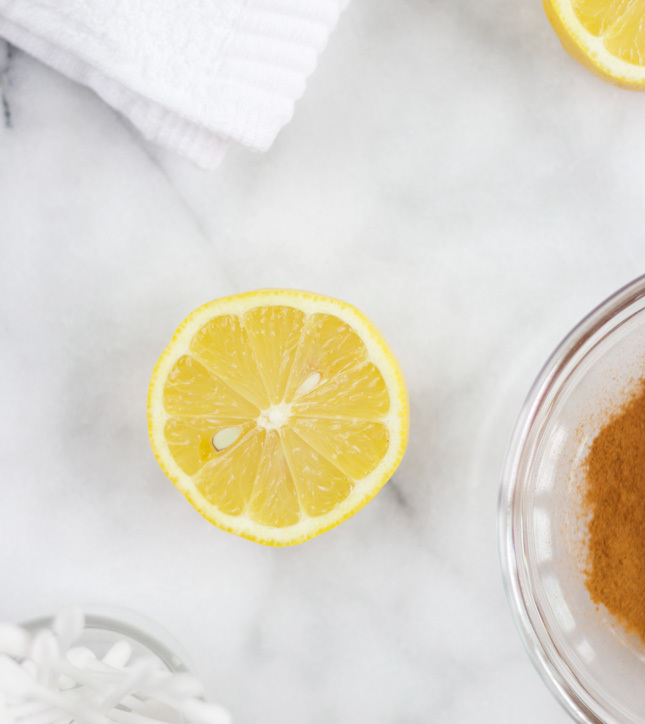 Lemons are often recommended for brightening your acne scars, and while this might work at first, combine citrus oil and daylight and you will end up not only “burning” your skin, but your spots will look much darker than they did before. I see countless beauty bloggers/vloggers (some of which I love and adore!!) recommend this to their thousands and thousands of followers, and I just cringe. Whatever you do, please, don’t rub lemon on your face. Ever. Cinnamon is a spice. You wouldn’t think of putting cayenne pepper on your face, would you? I once saw someone recommend this mask for those with acne-prone skin and it made me want to throw my laptop out the window. When you have active breakouts, you have to be even more careful about what you put on your skin. Same thing goes for sensitive skin, psoriasis, etc. Cinnamon can act as an irritant and cause superficial burns. You’ve been warned. Need I say more? Go get yourself that $6.99 mascara from the drugstore. We got ourselves another gem here. 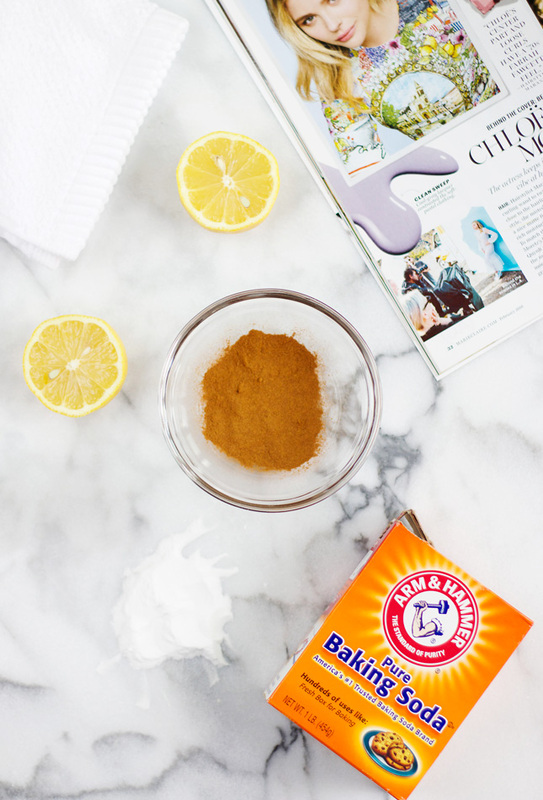 Baking soda is another “pantry ingredient” that’s highly popular when it comes to all these DIY beauty treatments you find online. So why exactly is it bad for your skin? pH is very, very important when it comes to your skin. Use something that is too alkaline and your skin barrier can be damaged, use something that is too acidic and you can end up with burns. Your skin’s acidity (or the acid mantle, the slightly acidic film on the surface of your skin that acts as a barrier to bacteria and other contaminants) falls between a pH of 4.5 and 6.2. Neutral pH is 7, anything above that creates alkaline environment. When you mix baking soda with water, you get a pH of about 8. When applying something to your skin with a pH that’s that high, you are disrupting your skin’s acid mantle. Let me put it this way, I sometimes use baking soda to remove grease spills in my kitchen, to clean my sink and, on occasion to clean my toilets. It works like a charm. But that doesn’t mean I want to put that stuff anywhere near my face. We live in a wonderful time. 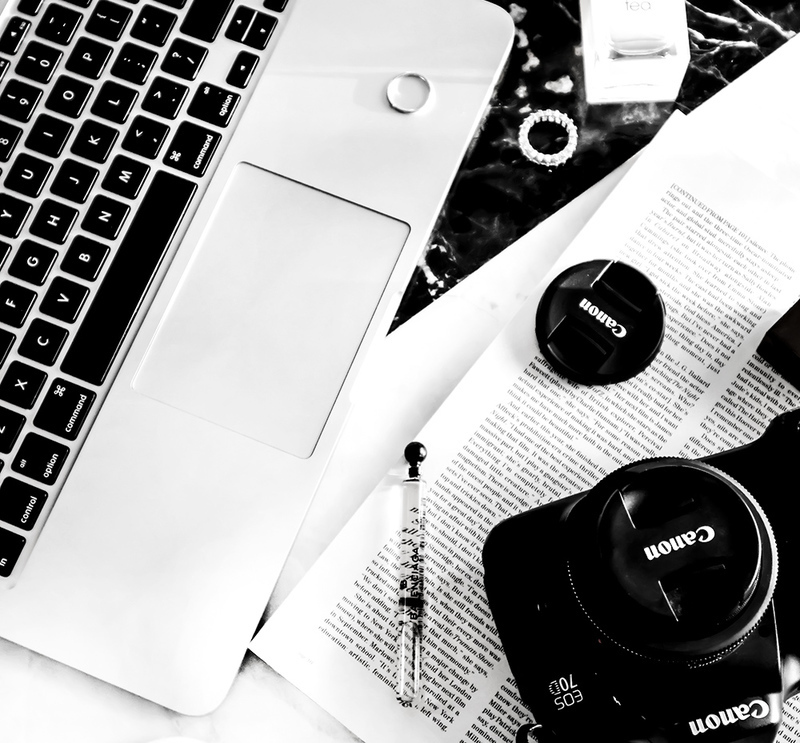 We can blog, share our passion for beauty, skincare and makeup. But, when it comes to DIY beauty treatments, take everything you see/find/come across with a grain of salt. Even if it’s coming from one of your favorite beauty bloggers. There’s a lot of misinformation out there. There are also tons of wonderful DIY beauty hacks and tips out there, but some of them are just plain dangerous. Always do your research and do a patch test when trying out something new! You may not always get a skin reaction right away, but in the long run, a lot of these DIY beauty tips you come across can be harmful to your skin. Are there any DIY beauty fails that you’ve tried in the past?